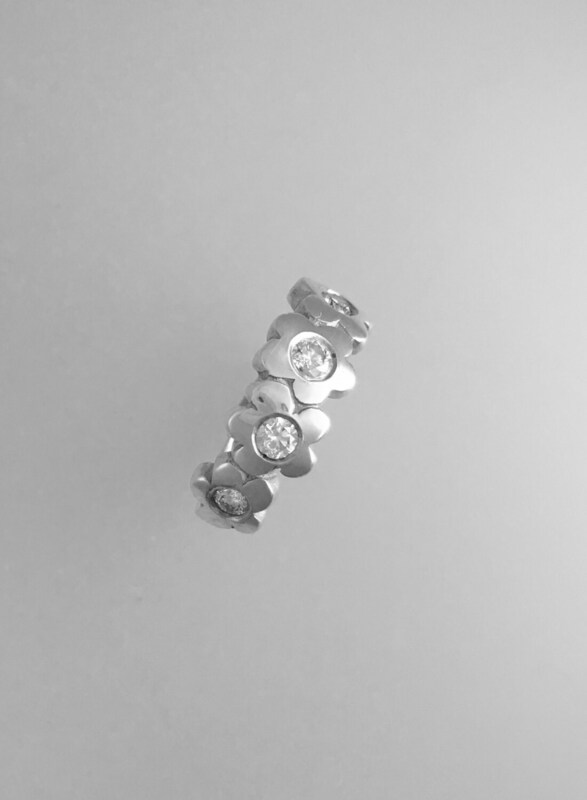 Silver Flower Ring Set with a Half Carat of Round Brilliant Diamonds! Suitable for any occasion - unique engagement ring or beautiful dress ring. Four hand carved flowers each set with a Diamond.